I love a good cozy mystery. Thanks for sharing. The scones sound good, and a writer's retreat B&B on the Oregon Coast sounds even better. I'd go. This one looks like an interesting book. Thanks for mentioning it. Enjoy your current read! I like that beginning. Provocative, I think? Enjoy and enjoy your weekend. I do read the occasional cozy mystery and this is definitely a new to me author I shall be book-marking for future reference. I like the idea of sharing quotes as the preface to a story, although if I look out of my own window today, all I can see is a mountain of snow !! The cover has everything I love; coffee and cookies, yumm. I like the beginning too. A pretty good first line! 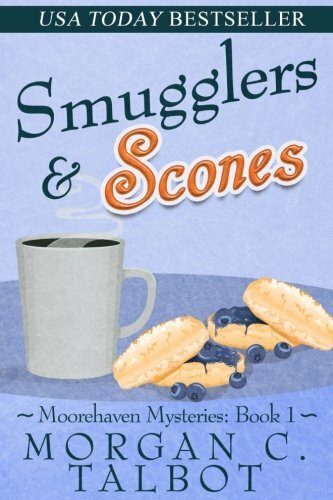 I love a good cozy and I can never resist a book with the word scones in the title! This sounds really good! I like the sound of this one. I do enjoy a good cozy. I'm spotlighting Lake Silence by Anne Bishop - her latest set in the world of The Others. Happy reading! Enjoy your mystery! Happy Reading! I like a good cozy mystery and the title is certainly intriguing. Didn't expect a dozy. Who knows where a journey in reading will take us?